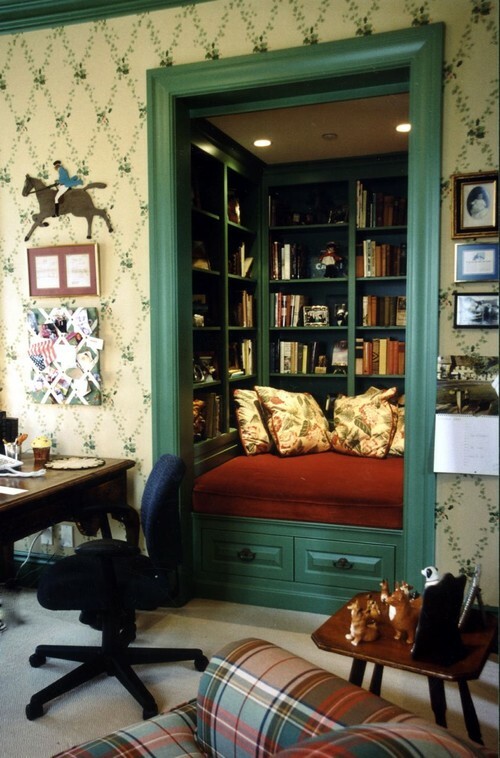 By utilizing this niche she created the perfect place for reading stories, playing, cuddling and of course sleeping! She stacked two inflatable mattresses that easily rearrange to meet her needs. 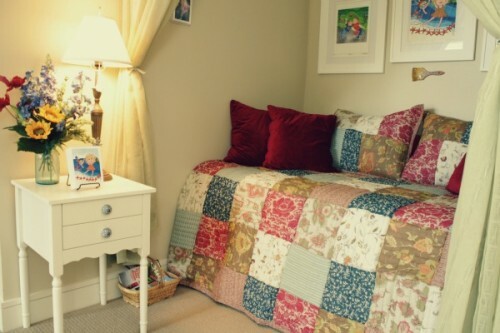 Beautiful colors and a handmade quilt make the little nook inviting and comforting. 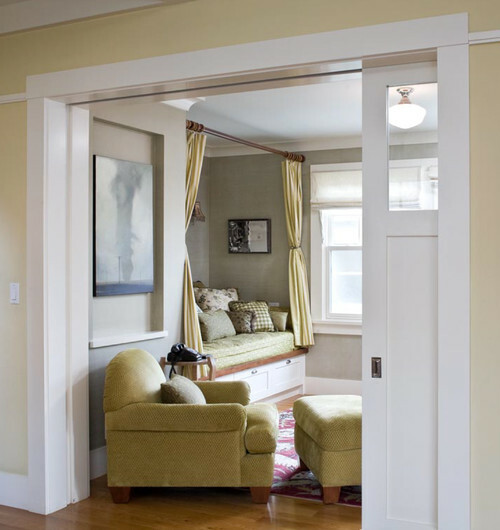 Framing the area with soft draperies, further defines the space and gives it that cozy feel. 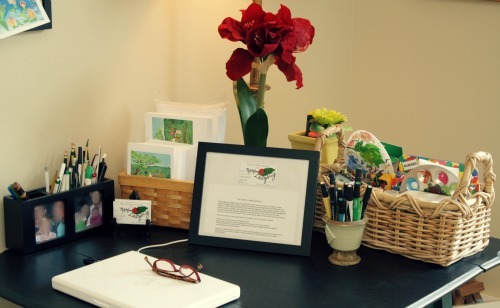 Don’t you love how she worked with this space? 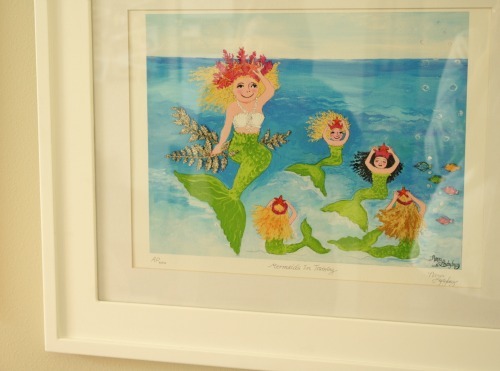 She honored her passion for art, while cherishing her bond with her grandkids. Now, that’s a great multifunctional room and a really cool Nana! This one is pure genius! What kid wouldn’t want to hang out up there? Too cool! 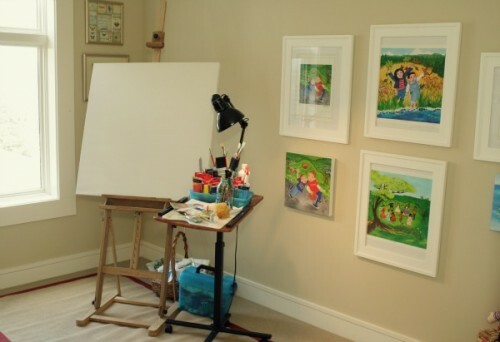 Get creative with your downsized space – carve out room for your hobbies and your family! The traditional family room is gorgeous! 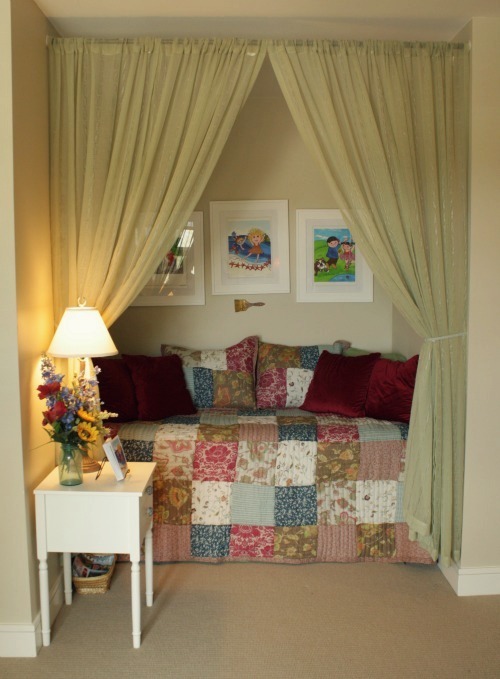 I have always loved the built in bed, such a wonderful and creative way to make awkward and nonfunctional space usable.